I'm definitely on a flower roll—and I'm thoroughly enjoying it. This time it's a water lily. 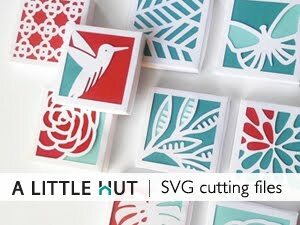 The new center shape that has several petals in a row (when you see the video you'll know what I mean) is something new for me. I wanted to come up with a shape that would stand up, stay that way and still let the petals appear natural. I was inspired by another flower project of mine (remember?). Those petals are all separate and allow for more creative interpretation but I wanted to create something a little easier/quicker to put together. 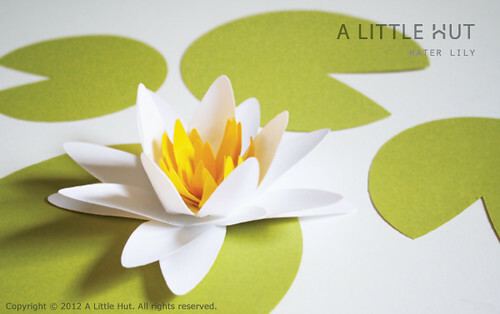 I can see these water lilies being used for gift toppers, on a cake, as table decorations for a party and much more. The petals are very versatile because you can come up with other flower combinations—specially if you have any other of my flower sets. 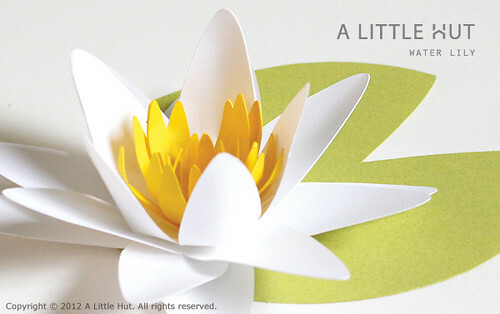 The water lily is now in the shop in SVG, DXF and PDF (to print out and cut by hand) formats. You can see the assembly video tutorial below.